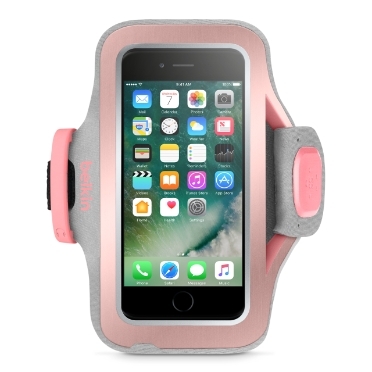 The high-performance Sport-Fit Pro Armband doesn't just protect your phone while you're exercising - it's also incredibly comfortable to wear. The secure fit and slim design stays out of your way, so you forget you're even wearing it. Now you can concentrate on your workout, not your device. The Sport-Fit Pro Armband is made of stretchy neoprene material that's hand-washable and perforated for added breathability. 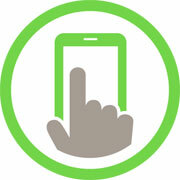 It fits snug against your arm to give you full access to your screen without adding extra bulk. Reflective fabric accents keep you safe and visible to others. We designed the Sport-Fit Pro Armband with a larger loop for the strap for two reasons: One, so it's easier to adjust to the fit that's most comfortable for you; and two, it keeps your skin from getting pinched or irritated. 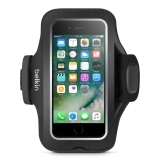 Our Sport-Fit Pro Armband is designed so that the home button is fully accessible. 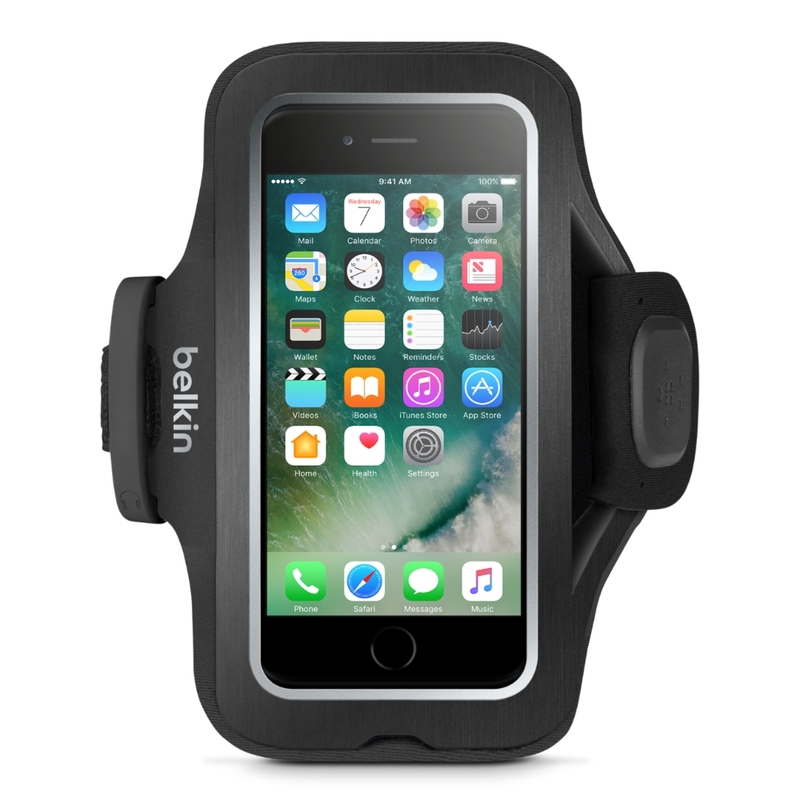 You can quickly and easily operate your touchscreen keeping your iPhone inside your armband and on your arm.